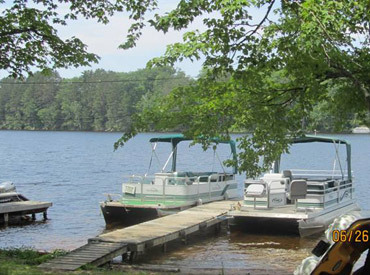 Cottage rentals run from Saturday to Saturday from Memorial Day to Labor Day. However, if there is a vacancy during this time, a cottage can be rented (2 night minimum) without advance reservation. Daily rentals (2 night minimum) can be made before Memorial Day and after Labor Day. You will be charged for the number of nights reserved – even if you leave a day or two early. Click here to download a map of the lakes.